Knife making is a painstaking business. It takes patience and passion to persevere – more than most adults can muster, let alone a 13-year old boy. But ambitious 7th grader Will Freeman is already making and selling blades under his brand Will Freeman Knives. “There’s a lot of things a young person can do that give instant gratification. Knife making is not really one of those things.” says Will’s mentor, knife maker Charlie Edmondson. Edmondson owns Edmondson Elite, and sells knives made out of his shop in Alexander City, Alabama, only a short drive away from Will’s home. 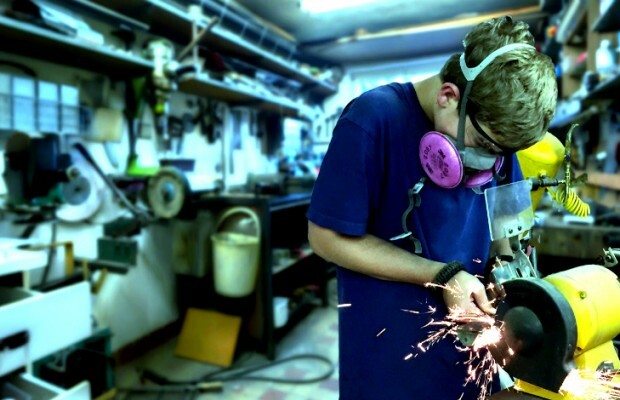 Will’s passion for knife making was sparked by a visit he and his father Doug Freeman paid to the Edmondson shop.